Believe it or not, no other course as compact and short as MBA can make you earn US$ 2.5 million as cumulative median cumulative salary over a period of 20 years. This is exactly what has been found by GMAC in its Alumni Survey. Doing MBA from a good B-school is a lucrative investment and it will not take more than 4 years to recoup your MBA costs after completion of the course, is the outcome of GMAC Alumni Survey report published on February 23, 2016. MBA or PGDM with MBA equivalence is a short Post Graduate programme with high career prospects which no other programme offers. It is of 2 years duration for freshers who have no work experience after bachelor’s degree and of 1 or 1 and a half year duration for those who have work experience of 2 years or more. According to Asian Development Bank economic growth projections Indian economy would grow at 7.4% leaving China behind which is proposed to have the economic growth rate of 6.5%. The Make in India and start up India would consistently need more skilled and managerial professionals to meet the growing demand in coming years. When we aspire to make India usher in the era of double digit growth, move on the path of Make in India, it may not come from a few developed urban pockets. It is the task of the MBAs to develop the less developed areas and bring uniformity in the development, as MBAs have the right skills. Graduate Management Admission Council’s (GMAC) 2016 Alumni Perspectives Survey Report reveals that all the alumni who were surveyed agree that MBA contributed a lot to boost their career. 81% feel that MBA was instrumental to increase their salary substantially; 80% find that MBA prepared them for leadership roles; 74% find that MBA offered quicker advancement in career and 70% are of the view that doing MBA helped them to improve their network. You can’t become a doctor, engineer or scientist if you are a general graduate in commerce, humanities, arts, computer application and others. But you can become the highly paid manager after completing your MBA degree. MBA degree gives depth to your resume and helps you to choose career options as per your own perspective and better marketability. You are not the same person after emerging from the Management institute as it shapes your personality and widens your knowledge in different aspects and field. 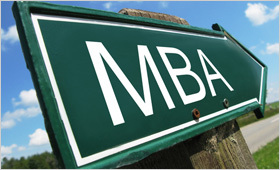 MBA degree propels you for a managerial job or position. If you are student with a specialization in engineering, chartered accountancy, Company secretary, etc, you need an MBA degree to gain a managerial position. Inspite of economic slowdowns round the world, placement records of top B- schools in India come as a motivation for all those who have a dream to pursue MBA. The highest and average placement in almost all the major MBA programmes offered by the Business schools located in any part of the country including IIMs, FMS, IIFT, SPJIMR, MDI, NITIE, NMIMS, JBIMS, IMI, IMT and many others have gone up by 10 to 40% between a range of Rs. 7 lakhs to 70 lakhs. In fact there is no other 2 year post graduate programme than the MBA which can offer such a good career start even before completing the course. In certain organizations, having an MBA or an advanced degree is practically a requirement for certain positions. It's hard to move up without that credential, no matter how talented you are. Because of the recession's affect on employment, many companies have a wealth of talent to pick from at the moment and some can afford to be choosy in their hiring. Candidates need to score every point possible, and an MBA degree may give that extra edge to you. MBA imbibes in you the necessary knowledge and skill set which you will need in your life, not only in the professional but also in personal walks. MBA courses imbibe in the students the capability and skills to maximize individual and organizational productivity.